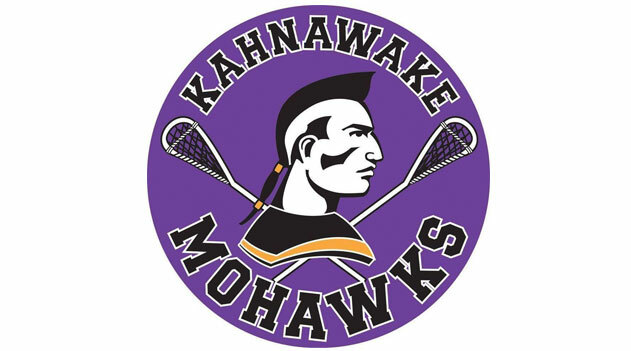 The Kahnawake Minor Lacrosse Association prides itself on a history of strong results. Lacrosse, or tewa’araton, in Kanienkeha (Mohawk,) is known as the Creator’s Game, it is also known as the little brother to war because it was used to settle disputes amongst member tribes of the Iroquois Confederacy. Due to its power to provide medicine (i.e. healing wounds,) lacrosse is not just a game to the Haudenosaunee (Iroquois) people–lacrosse is a vital cultural practice which still holds a special place in our communities. Our youth are raised with lacrosse sticks in their hands, there is no shortage of lacrosse experience and potential here. We train our athletes in game strategies, technical skills, fitness and leadership to develop their talents. Through the leadership of our volunteers and experienced coaches we develop programs which allow our athletes to compete in the top levels of the sport. Several of our youth go on to play for the Iroquois Nationals national-level lacrosse teams. Many of our youth play lacrosse on College and University teams throughout Canada and the United States. We are proud to have former Kahnawake/Caughnawaga players in the Lacrosse Hall of Fame. Notable Kahnawake Minor Lacrosse alumni is Goalie Angus Goodleaf, currently playing for the Rochester Knighthawks in the National Lacrosse League. Copyright 2014 - 2018 - Mohawk Council of Kahnawake. All rights reserved.